Earning your prospects’ top of mind awareness takes consistent effort, but there are ways to do it that fit into a busy schedule and position you as a friend, rather than a pushy salesperson. Reach out with value – If you want your prospects to remember your name, you’ll need to remind them often. When those reminders come along with useful information that helps them plan their construction projects, they’ll start to associate your name with good things. They’ll always be happy to see it and they’ll remember it when they’re ready to start their project. To stay consistent, plan scheduled content such as a quarterly printed newsletter, a monthly webinar or a live event such as a panel discussion a few times a year. A good email newsletter helps, too. Make it personal – For your most promising prospects, keep up contact outside of your regularly scheduled content by passing along tips, news, and other information suited to their personal interests. When you get the chance, send them links to articles they might find helpful, let them know about upcoming events they might benefit from or share new business opportunities you come across. If your prospect learns something valuable at a property development workshop you told them about, they’ll remember you were the one who let them in on it. Get serious about social media – Social media makes it easy to stay in your prospects’ field of view, but they’ll only pay attention if you make it worthwhile. Choose two or three platforms your ideal clients use and that you can post to consistently. Share valuable tips and guidance, but also occasional behind-the-scenes moments from your ongoing building projects or office life to develop a more personal connection with your followers. Use an editorial calendar to plan your posts so you’re not tempted to skip days because you’re out of ideas. Just as importantly, spend time interacting with your followers, too. There’s a lot more to defining your brand than choosing a logo and fonts, but the process doesn’t have to be complicated. 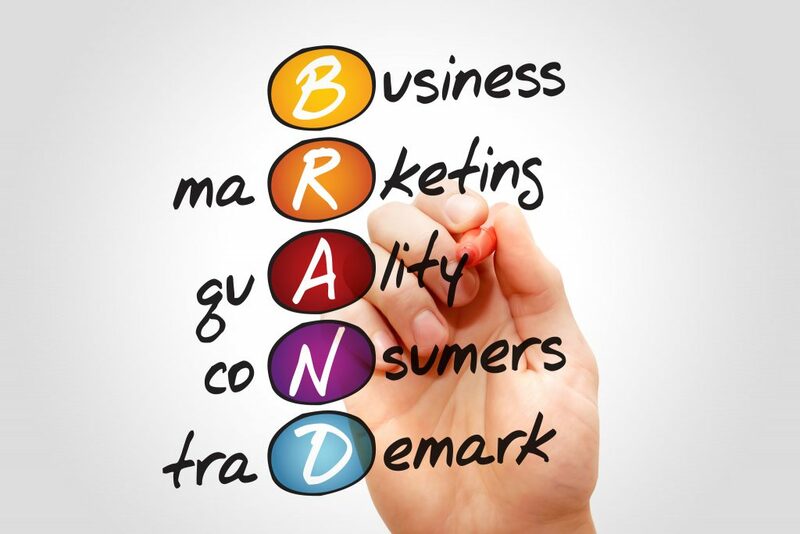 If you’re just getting started branding your construction firm, get the essentials down first. Audience – Defining your audience helps you clarify exactly who you’re trying to attract to your business. You can’t be all things to all people, but you can position yourself as the best company for dentists who want to expand their clinics or older adults who want to remodel their homes. Once you know who you’re targeting, you can design your marketing in ways that will appeal to that group. Story – Your brand story communicates your values, beliefs, and strengths in a way that makes an emotional connection with your would-be clients. The basic formula is simple: talk about how you noticed a problem, found a way to solve it, and now share that solution. Maybe you discovered that few small medical clinics were built to accommodate developments in technology, you worked out future-proofing solutions for these clinics, and now you have former clients calling to tell you how their clinics’ patients have benefited. Promise – Your brand promise tells your clients what kind of experience they can expect to have when working with you. It should be inspired by your core values and what you ultimately want to give your clients. If you do home remodeling, your promise might be “Homes that stand the test of time” or “Modern. Smart. Efficient,” depending on the clientele you’re targeting. Emotion – Even in a practical business like construction, emotion sells. Choosing one primary emotion you want your potential clients to feel when they think about your business helps guide the rest of your branding. Your logo style, color palette, and voice should all work toward evoking that emotion. If you specialize in office buildings, you might want your clients to feel the excitement of a fast-paced business environment. If you build single-family homes, you might focus on love and affection. 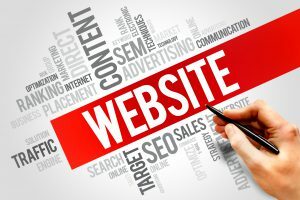 Publishing dry technical content isn’t the only way to teach your website visitors about your construction services. By offering content that requires their active participation, you’ll keep your prospects engaged and teach them about your services in a clearer and more memorable way. The more enjoyable you can make learning about your business, the more time your would-be clients will spend doing it. Quizzes and tests are one of the simplest ways to do this. Pick a topic your audience cares about and help them check how informed they really are. Your quiz can cover something basic, such as knowledge of hotel construction vocabulary or a more complex topic such as financing options. By letting your prospects hear and communicate with you in real time, webinars help you build a stronger rapport and establish your credibility. They’re perfect for generating high-quality warm leads. To keep your prospects interested, design your webinar to solve a pressing problem or help participants reach a concrete benefit. Offer actionable guidance based on your own experience and hard data, but leave time for audience questions. If you’re targeting retail store owners looking to renovate, you might offer pointers on how to increase sales with a better store layout. Don’t have time to develop a webinar? 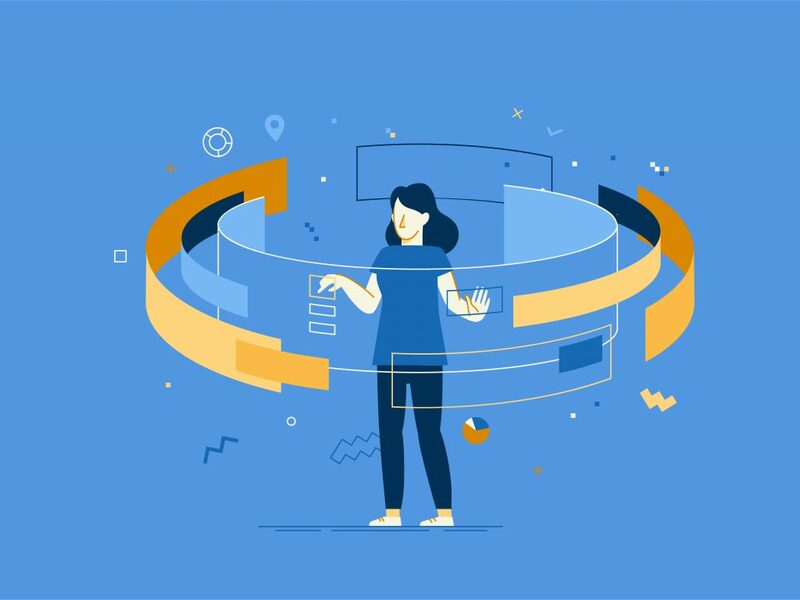 Try creating short interactive videos that feature you and your company’s work, and include rich media tags, clickable hotspots, polls, and quizzes. You’ll need a video editor that can add these features, but many video hosting services, such as Youtube and Vimeo, offer at least basic options for creating interactive videos. If you’re looking to get some use out of the information you collected in a recent competitive analysis, your ad campaigns are a good place to start. What you know about your competitors can help you refine your strategy and tap into new opportunities in the construction market. Choosing the right target audience is a major part of what makes an advertising campaign successful. 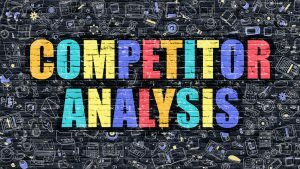 By helping you spot segments of the market your competitors have overlooked, a competitive analysis can uncover clients who are ripe for the picking. Your analysis might reveal a whole niche you can move into unimpeded. If no one in your area is paying attention to the restaurant construction market, that might be something worth looking into. Information about your competitors can also help you narrow your niche down to find an audience you can appeal to with specialist expertise. If your competitors focus on general hotel construction services, you might want to refine your ad campaign to target boutique hotel or spa hotel clients. When you what know your competitors’ strengths and weaknesses are in terms of advertising, you can more easily see what type of ad campaign will pay off for you. Maybe your main competitors are all running extensive Facebook ad campaigns, but they’re neglecting LinkedIn. That leaves an opening for you. On the other hand, it also tells you it’s probably a good idea to invest in Facebook advertising, too. Your analysis can give you ideas on which benefits to highlight in your ads. If your competitors’ reviews are peppered with complaints about delays, use your ads to assure your audience you can stick to a deadline. You might also get ideas on what overall style to use for your ads. Are your competitors’ ads all strictly serious? Consider setting your company apart by mixing a little humor into yours. Even if you think you’ve found the perfect potential client, you still need to convince them you’re the contruction firm for them. 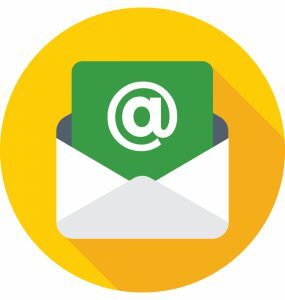 With a skillfully crafted email pitch, you can set yourself apart from other firms and give your prospect a reason to connect with you. If you want your prospect to open your email at all, you need an intriguing subject line. Go for something simple and direct rather than a vague “click bait” style title. A subject line such as “Help with your next spa hotel project” or “Future-proof hospital renovation with minimal disruption” will stand out to a prospect who’s looking for exactly those services. Then start your email with a personal greeting that explains how you found the prospect. Use their name and tell them you’ve read their LinkedIn profile, social media posts or blog. If something genuinely impressed you about their work, say so, but don’t worry about shoehorning in flattery. After your intro, move on to explaining what you’re offering. Three or four sentences is enough here. Follow up by stating the value your company offers and why you think you’re a good fit for this prospect’s next project. Tell them how you can renovate their out-patient clinic without disruptions that could cost them business or how the eco-friendly building materials you use in your hotel projects will be a great selling point for eco-conscious, high-income travelers. Again, keep it to three or four sentences. One of the most effective methods for catching a would-be client’s attention is to research their competitors and explain how you can help them beat the competition. For example, maybe you can build features into your multi-family residential projects that will draw renters to your client and away from their competitors. Finish with a quick thank-you and an offer to set up a call or discuss options further by email. You might still need to send a quick follow-up a week later. With some small SEO improvements, your website could be bringing you even more construction clients than it is now. Taking a closer look at how your site performs will help you spot opportunities for improvement and decide which ones are worth your time. The easiest way to zero in on areas that need improvement is by running your site through one of the many free or paid website SEO auditing tools online. Google’s URL Inspection Tool can show you coding errors that could prevent your site from ranking well or even from being indexed at all. Use Google’s Pagespeed Insights to make sure the main components on your most important pages, such as your home page, portfolio, and email sign-up pages, load within three seconds. Check that your content is organized logically and focuses on the right keywords. If you’re targeting commercial remodeling clients, but your content doesn’t include many of the phrases those clients might search for, you have a problem. To get an idea of your Google ranking, sign out of your Google account and search for targeted phrases you hope to rank for. Some improvements, such as correcting major coding issues, might require help from a website designer, but there’s still a lot you can do on your own. If you find your content isn’t well SEOd, you might want to re-write some of it. In particular, optimize your titles and subheadings. “Tips for Adding Storage to Your Office Building” is better than a clever, but vague title. Organize your content into SEO-friendly “silos” or categories and subcategories. For example, your blog posts about upgrading office building storage, meeting rooms, lighting, and so on can all be linked to from the main category of office building remodeling. If the images in your project gallery load slowly, compressing them into smaller files can help speed things up. Also consider using a content delivery network (CDN), such as CloudFlare, for faster content delivery. Can Guestblogging Really Help Grow Your Business? Given the time and effort involved in guestblogging, it’s natural to wonder if all that work is going to pay off in new construction clients. 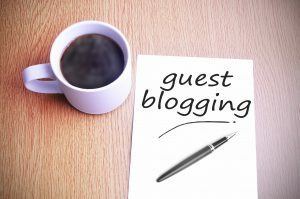 While it does take some research and networking, if you choose the right topics and blogs to work with, guestblogging can bring results. Especially for B2B service providers, guestblogging offers a way to reach new niche audiences of active buyers. The key to reaching the most profitable audiences for you is careful selection. Seek out blogs that attract your target audience, but aren’t run by your direct competitors. If you specialize in building retail stores, that might mean blogs that forcus on retail marketing or small business management, or on an even narrower niche such as fashion retail. If you’re looking for home renovation clients, you might work with blogs written by materials suppliers and tradespeople such as electricians and carpenters. Look for signs of an engaged readership, too. 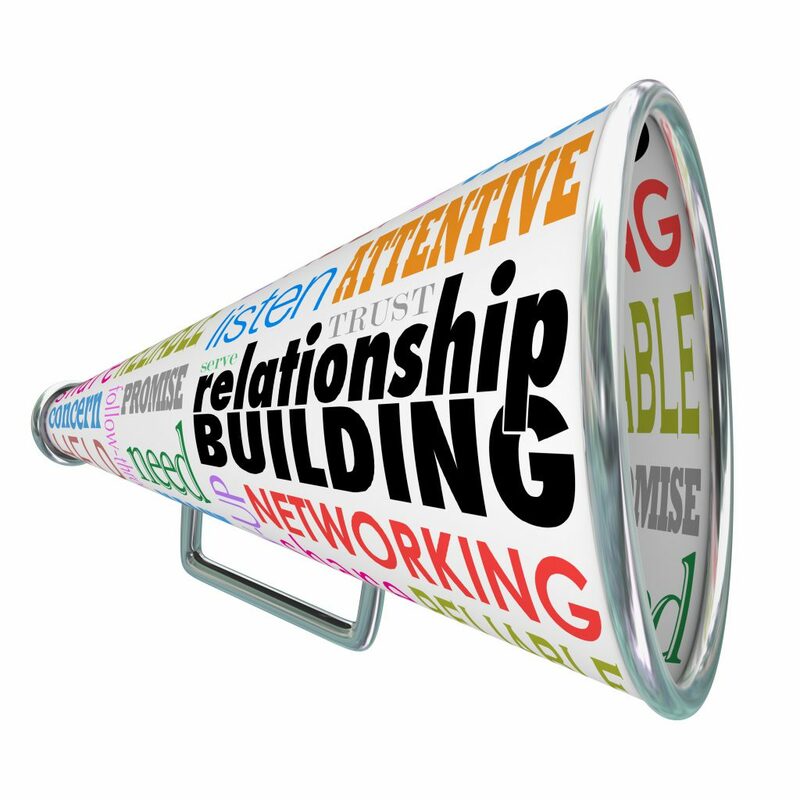 If the blog’s regular posts attract comments and social media shares, your guest post is also likely to get attention. When you find an appropriate blog, pitch them your idea before you write the whole post. A guest post shouldn’t read like an advertisement. Instead of promoting or even mentioning your services, provide genuinely valuable information that helps your target clients meet their goals. If you’re trying to attract retail store clients, you might write about the top five building features that help stores sell more. Your bio at the end will tell readers how you can help them get these features in their stores. Before you choose your topic, spend some time browsing the blog to see what the audience responds to best. For example, do they prefer posts with lots of technical detail or ones that tell interesting stories? You don’t want to rehash common topics, but you also don’t want anything wildly different from what the audience is used to. Posted on February 7, 2019 February 12, 2019 Author David MineerCategories NewsTags attract leads, blogging, digital marketing strategy, influencersLeave a comment on Can Guestblogging Really Help Grow Your Business? In a data-driven industry like construction, how you communicate facts plays a critical role in convincing clients to work with you. Infographics make it easy to present data in a clear, memorable, and sharable way, but to be effective, they need all the right elements. An Engaging Story – The most memorable infograpics tell a story. To find story ideas that will matter to your ideal clients, take inspiration from your most popular blog posts. Focus on your audience’s needs and interests, not on selling your services. Topics such as Planning a Cold Storage Warehouse, Office Building Features Tenants Love or When to Secure Funding for Your Construction Project can all work. You’ll know you have a well-defined story idea when you can write a headline and summarize the main points. Remarkable Data – The data you include should illustrate and support the main points of your story. If your infographic is about office building features that attract tenants, choose data that shows which features are most in-demand and why. Focus on new or surprising data that’s both useful and exciting enough your audience will want to share it on social media. Stick with data that’s easy to represent visually. Quantitative data works better than qualitative data. It’s fine to add descriptive copy when necessary, but keep it succinct. A Cohesive Style – A visually appealing infographic attracts more attention and shares. Stick with a palette of three or four colors and a style that fits your target audience. A colorful, playful style might work great for an infographic about primary school construction, but not so well for one about industrial facilities. 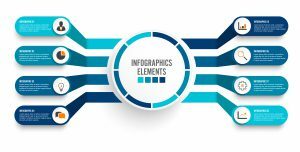 Browse other infographics to get a sense of the types of charts, graphs, tables, diagrams, maps, and pictograms you can use to present your data. Your representations should make sense at a glance. For example, a circle representing 72 percent of something should be larger than the one representing the other 28 percent.